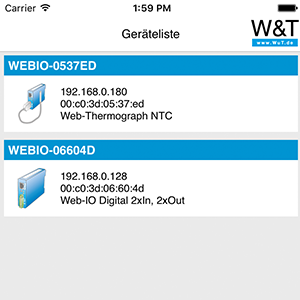 The Web-IOs from Wiesemann & Theis have for over 15 years been used to incorporate digital or analog in- and outputs into networks. Manual monitoring and switching is generally performed through the Web interface. The Web-IO app now offers a convenient alternative for fast access over a cell phone. 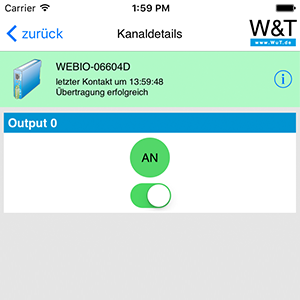 The Web-IO app automatically addsWeb-IOs in the local subnetwork to its inventory. Which devices can be reached once they have been detected can be seen at a glance. 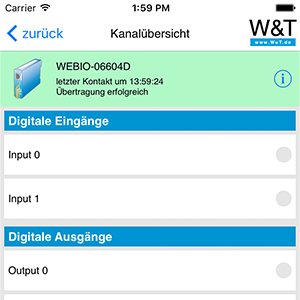 The Web-IO app offers you convenient access to counter states, measurement values and switching states on the analog and digital inputs of your Web-IOs. With the Web-IO app you set the states of the digital outputs or adjust the output values of the analog interfaces. Responsible employees use the Web-IO app to keep an eye on the temperature in server rooms and individual racks at all times. Custodian and building supervisor open doors and barriers from anywhere on the grounds. The Web-IO app assists you wherever you want to monitor, switch and control by mobile means. *The app supports all Web-IO models in the local network. 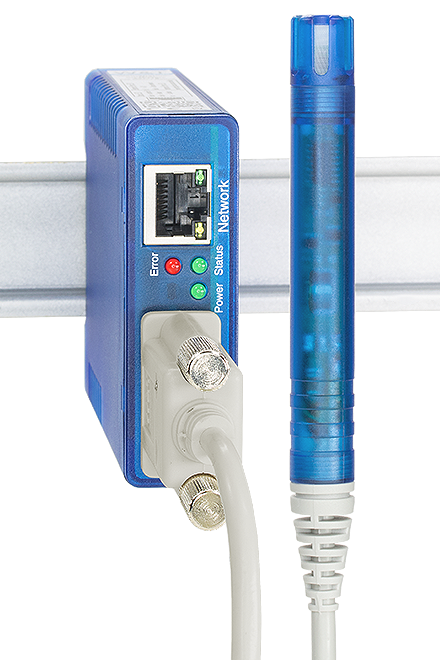 For external connectivity, for example via dynamic DNS or a static IP, models with version number 4.0 are required. *The app also supports the older Web-Thermographs in the local network. For external connectivity, for example via dynamic DNS, models from the current Web Thermometer series are required (Art. : 577**). We will be happy to provide you with a unit for testing for 30 days at no charge.